A lot of people, myself included, enjoy watching NCIS a long running American drama about the US Navy Criminal Investigation Service. Its central character is a man referred to solely by his last name – Gibbs. He rules the NCIS roost and does so by ensuring all of his subordinates run investigations by his rules, known not surprisingly as “Gibbs’ Rules”. There are quite a few of these rules (at least 18!). I started to wonder the other day, what rules would Gibbs establish if he led the innovation function within the Navy. Personally I think 18 rules is far too many so I’ve put together my top ten rules. 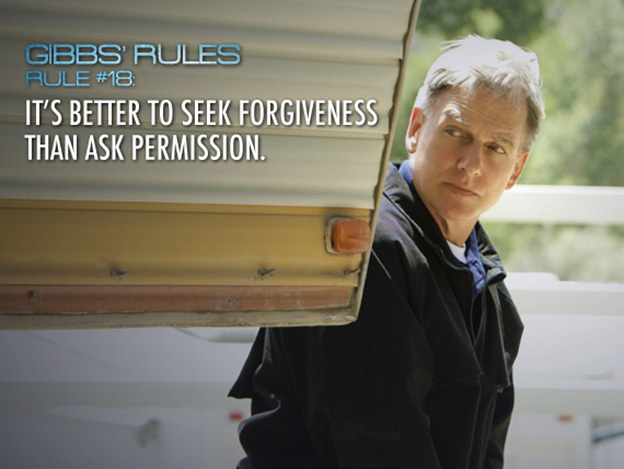 In honour of Gibbs I will make his rule number 18 my rule number 1!